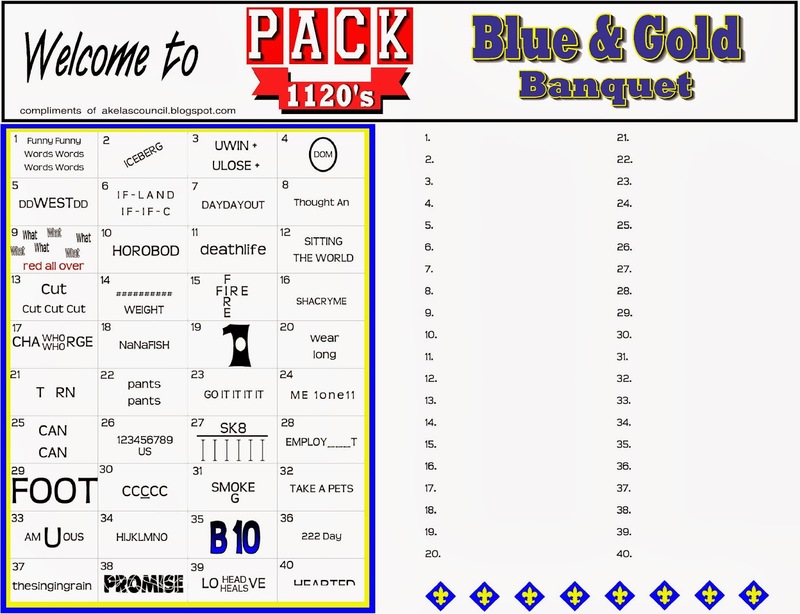 Here is a program that can be used for the Blue & Gold Banquet. It is ready to print and add your pack numbers and date to (you will probably have to add your pack number in black). Then you can print your program on the inside of it. I have also made a couple of other projects that match the placemat. If you are interested in them, you can find the links below. Here is a PRINTABLE idea for a cute table decoration for the Blue and Gold Banquet. They are super cheap and you can put candy or prizes in them, so it really adds to the fun. It is ready to print, add words, and give out. To print the toilet paper roll papers, CLICK HERE . They are super easy to make, and you don't need many supplies. Buy tissue paper and cut into sections. Roll around toilet paper rolls and then tape. Tie one end closed with curling ribbon. 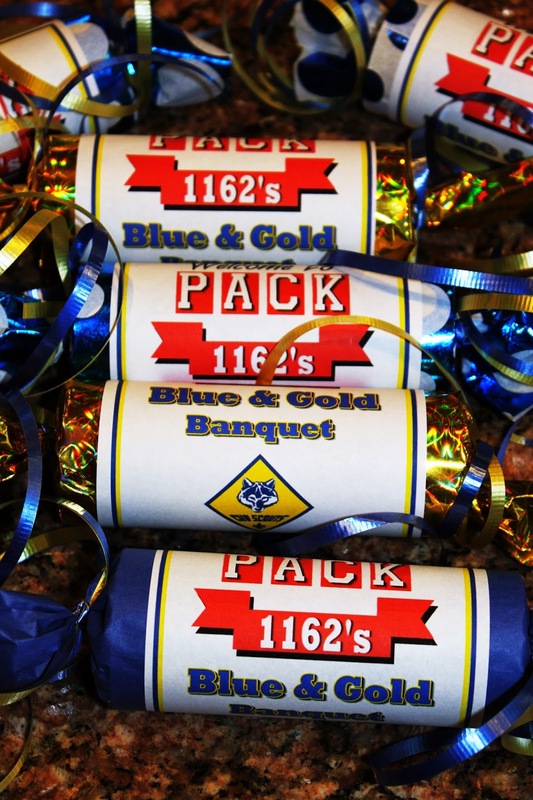 and add the printed paper "Welcome to Pack ****'s Blue & Gold Banquet. It is super easy! The cub scouts could make them in one of your den meetings.